You may ask where is the connection between my broken Pikapa and my buying behavior? Why was I lavish? Well, the answer is so obvious. Pikapa controlled my buying behavior. In my laptop I still have loads of unread ebooks, not to mention ebooks that available on internet. And I loved reading from my e-reader. So, I thought, instead of buying new books, why don't I just read them all? Then if I have finished reading them, I can allow myself to buy new printed books or ebooks. Or simply download another ebook for free. Yes, I can still read ebooks from my laptop or from my smartphone. But, unfortunately, I don't really like reading ebooks from those devices. I prefer e-reader to laptop, smartphone, and tablet. First, e-reader doesn't have backlight. So, it's like we read from printed books. It won't hurt my eyes. I can read hours and hours from e-reader without worrying it will tire my eyes. Second, laptop is too big and so unpractical, smartphone is too small in my hands, and tablet... Well, tablet is just not my style. Therefore, for four months I keep thinking how about I get another e-reader? At first, I didn't want to buy an e-reader. I thought it would only waste my money. Well, it's only a justification. Actually, I didn't have much money. I thought instead of buying an e-reader for almost two millions rupiahs price, it's better if I saved my money. Right? Right. So, I bought printed books instead. I've already told you before, I've spent more than one million rupiahs in books. In four months. Great. So, four months I've been considering and finally on August 4, 2012 I stopped considering. I acted. Four months should be enough for me to think and consider. It's so obvious that I really need an e-reader. So, I decided to buy an e-reader from Papataka. 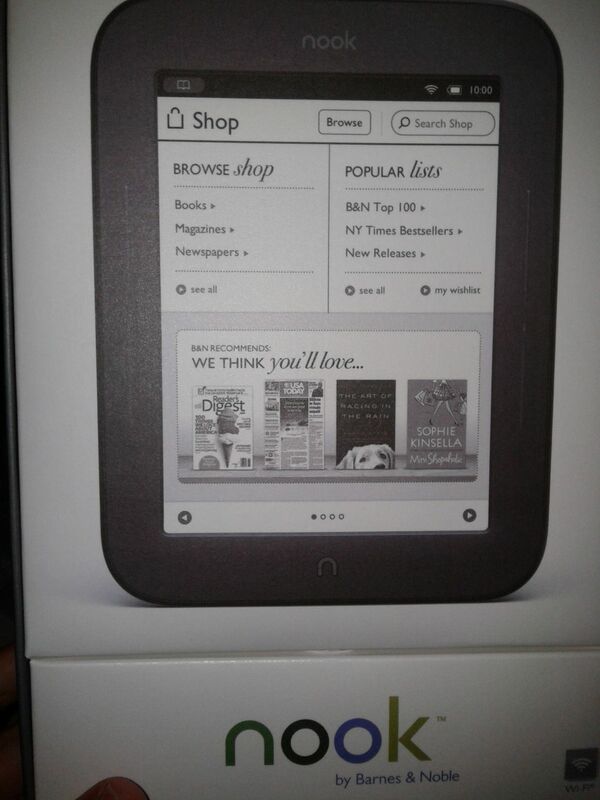 I chose Nook Simple Touch from Barnes & Noble. Just like Om Warm had suggested me. The reason I decided to buy Nook Simple Touch instead of Sony PRS-T1 (currently Papataka only sells those two types of e-reader) was Nook is 25% faster page turns. I know what it likes for an e-reader to be fast in page turns. My late Pikapa was also quite fast every time I turned pages. So, based on that experience I chose Nook Simple Touch. And it's cheaper than Sony PRS-T1. I saved IDR 115,400 for choosing Nook. Not bad. You can read Nook Simple Touch's full specification on its official website or here. Even though I ordered Nook on last Saturday and chose Over Night Service expedition to send it, in the end I received my Nook in my hands on Tuesday. I chose Tiki Over Night Service because I wanted to hold my Nook as soon as possible! But, Papataka said they would process my order on Monday (August 6) because on Sundays (maybe on Saturdays, too) was their holidays. I said to myself that it was okay. Four months I could be patient, so there would be no problem if I had to wait for few more days despite my restlessness. And after three days of waiting, my patient was paid off. I really love my Nook! It's so light (7.48 ounces), it so fits in my hand (height 6.5 inches and width 5.0 inches), and the most important thing is it's so crystal clear! Fonts are super-sharp. I am soooo pleased and don't regret for spending IDR 2 million (I also bought a cover for Nook). It's worthed. Mas pake Kindle toh? 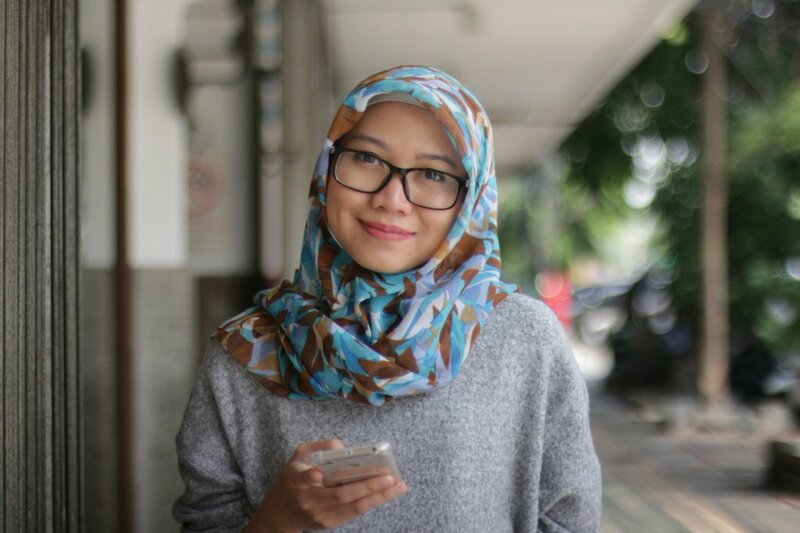 Dari dulu aku gak minat Kindle. Terlalu eksklusif. Setahuku Kindle gak bisa baca format epub. Iya kan? and stalking people on Facebook is what your life consists of.